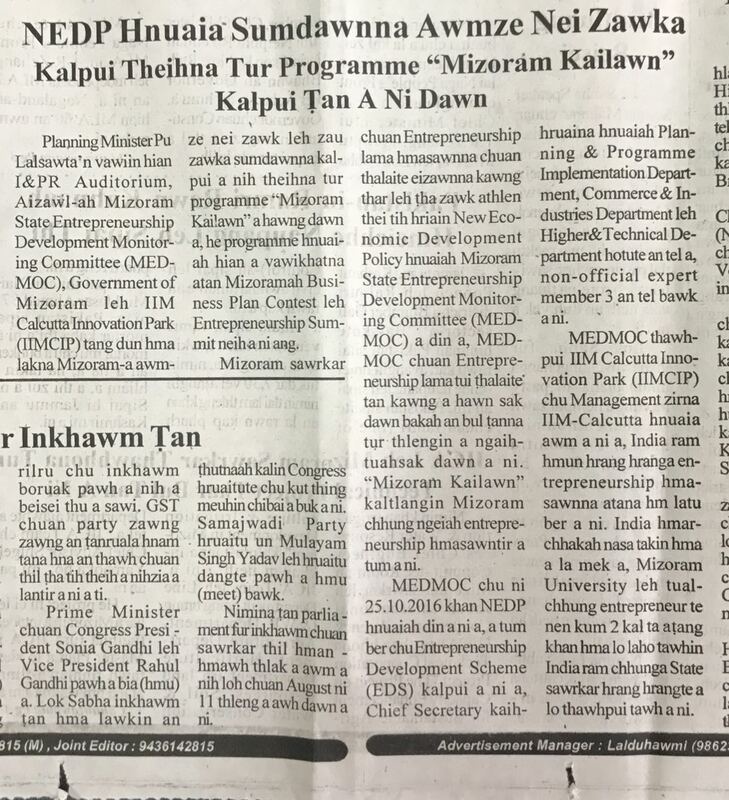 Mizoram State Entrepreneurship Development Monitoring Committee (MEDMOC), and IIMCIP inked MoU for Business Plan Contest and Entrepreneurship Summit. 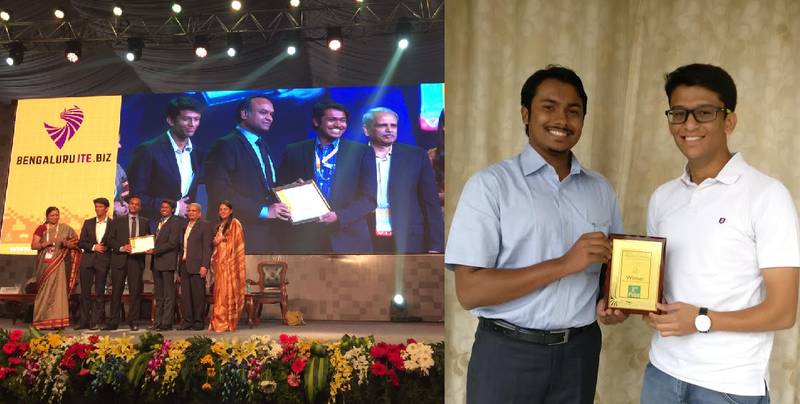 5 C Network won the Best tech Startup in Karnataka organized by Delloite and Govt of Karnataka for their work in teleradiology and their approach in bridging the healthcare divide through technology. They were also recognized as the best startup at the m2m+iot forum organized by the Govt of India and leading Telecom providers in New Delhi. 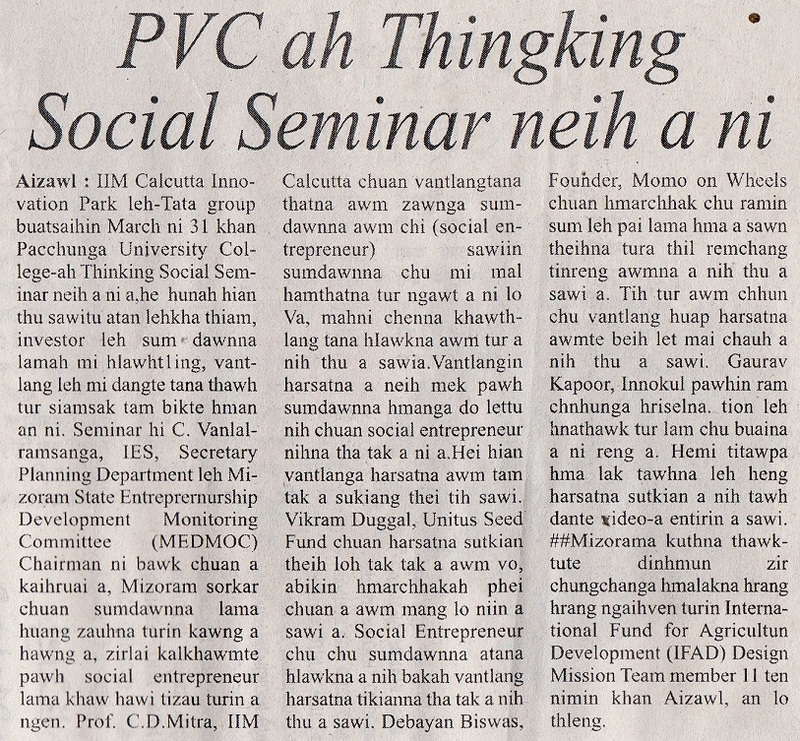 IIM Calcutta Innovation Park in association with TATA group hosted Thinking Social Seminar at Pacchunga University College ,on 31st March’2017, under the aegis of TATA Social Enterprise Challenge. 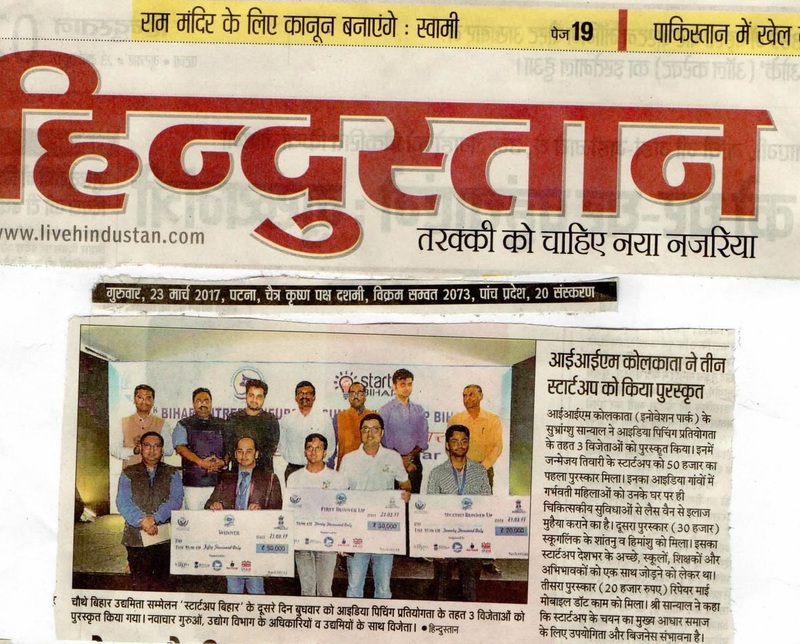 The primary objective of this event was to build awareness on social entrepreneurship, generate interest and inspire the young generation to come up with innovative solutions to social challenges. While it still has miles to go to be counted among the best, entrepreneurial confidence is steadily rising in Bengal, with a recent study putting the state in the “aspiring” category. Overall, Bengal finished ninth on the entrepreneurial readiness index ahead of states like Andhra Pradesh and Haryana, but behind Gujarat, Himachal Pradesh, Delhi, Tamil Nadu, Karnataka, Maharashtra, Punjab and Chattisgarh. 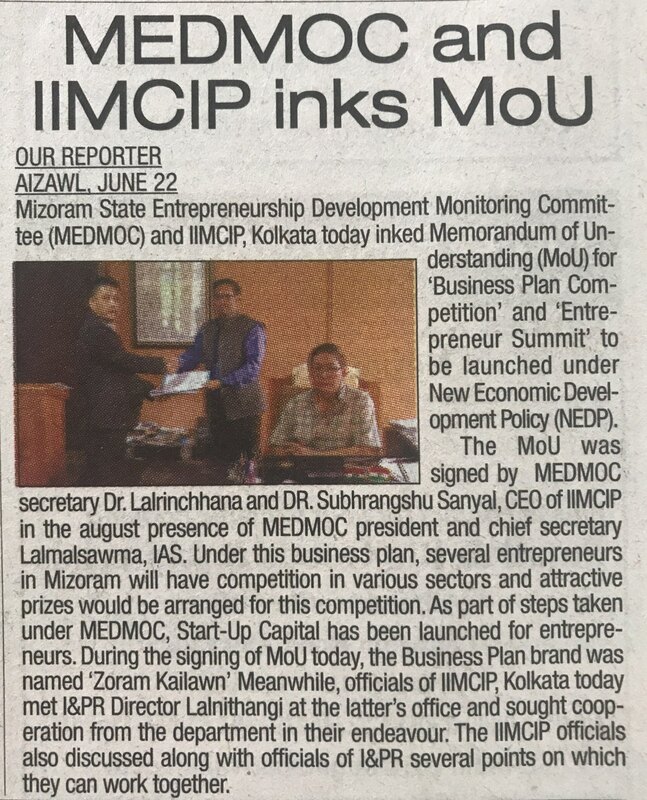 IIM Calcutta Innovation Park, formed under the aegis of IIM Calcutta, for promoting entrepreneurship and innovation in research and business through industry-academia partnership, formally announced the launch of its new initiative INVENT, on Wednesday, at IIMC City Office campus in Kolkata. 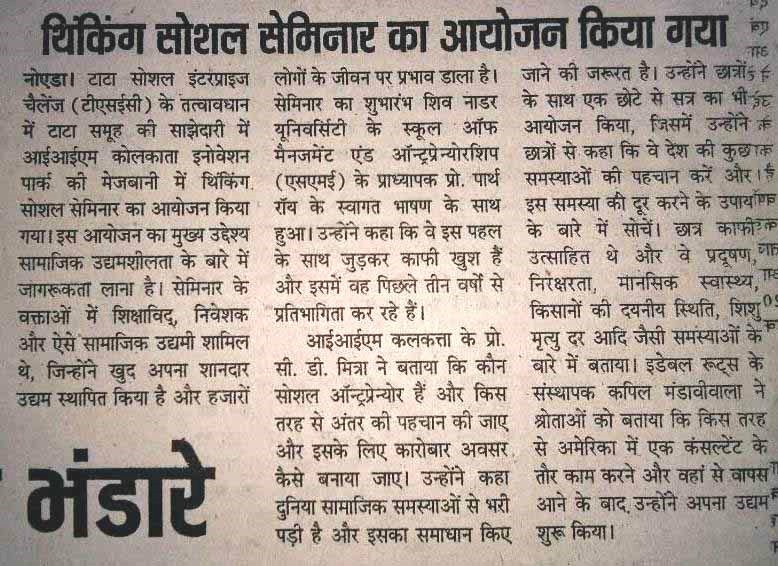 According to the organization, INVENT is a joint initiative by IIMCIP in association with DFID UK and Technology Development Board (TDB), Government of India. The program is designed to create a platform to support social entrepreneurs in eastern India, for-profit social enterprises, which are deploying innovative solutions to the prevailing social challenges. The Indian Institute of Management Calcutta Innovation Park (IIMCIP) plans to launch a grand challenge targeting 5,000 start-up ideas by March next year, an official said here on Wednesday. 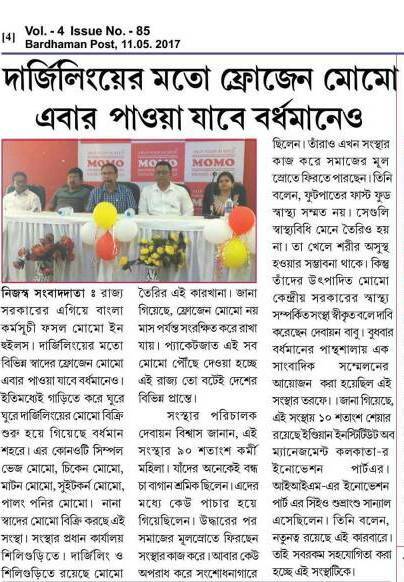 “We are contemplating to launch a grand challenge, an event which will run over a couple of months to target around 5,000 start-up ideas by March,” Uttam Kumar Sarkar, Dean, New Initiatives and External Relations (NIER), IIM Calcutta, told the media here. IIM-Calcutta is planning look to incubate around 100 start-ups by 2020. 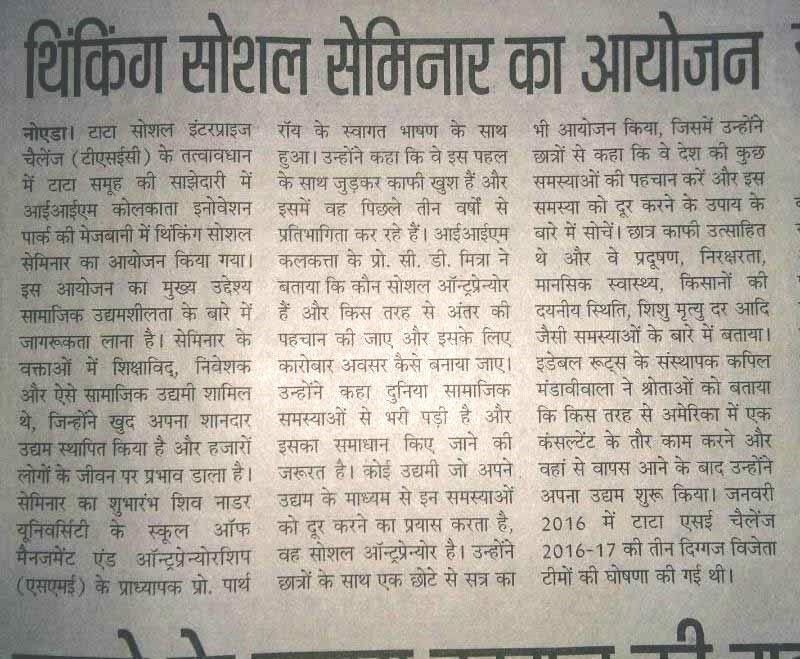 The institute will hold a competition, wherein 5,000-odd ideas will be short listed, said Professor Ashok Banerjee of IIM-C.
As of now, the IIM has 14 incubatees, and another 6-8 are expected to be added by November. Apart from mentorship and hand-holding, incubatees will also get access to technology and IIM’s alumni network. This apart, the institute will pick up a maximum of 3 per cent stake in the start-ups; it will also invest in some firms. IIM Calcutta Innovation Park has chalked out plans to incubate 100 start-ups by 2020, of which 40 would be funded by the Department of Science and Technology (DST) and DFID. IIM Calcutta Innovation Park has created out plans to incubate 100 startups by 2020, of which 40 would be funded by the Department of Science and Technology (DST) and DFID.